Road show that aims to connect federal government agencies with innovators adds a stop in the Midwest. 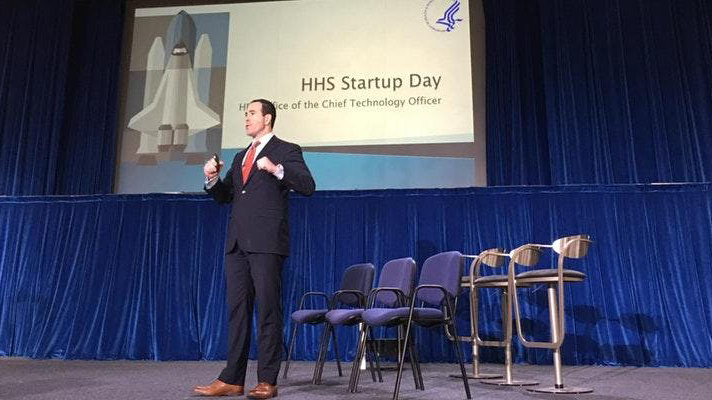 To bring startups together with government agencies as prospective customers, the U.S. Department of Health and Human Services is bringing its Startup Day to Chicago on May 24. While HHS has already held such the first startup days in Boston and Washington, D.C., the agency collaborated with HIMSS Healthbox on the Chicago event, which is also supported by the healthcare incubator Matter, 7wire Ventures, BlueCross BlueShield Venture Partners and Pritzker Group and Sandbox Industries. Half-a-dozen startups will make pitches to a panel consisting of leaders from as the Centers for Medicare and Medicaid Services, the Office of the National Coordinator for Health IT, the National Institutes of Health, as well as HHS CTO Bruce Greeenstein. Patel said that a national healthcare provider and an official from either Veterans Affairs on Indian Health Services will also be on the panel, asking questions and offering advice. The 6 startups slated to pitch: Redox, PhysIQ, Livongo, Apervita, BehaveCare and Collective Medical Technologies.